Reshma Patel, LCSW is a Clinical Social Worker. She obtained her Bachelor of Arts in psychology from Boston University and her Master’s in Social Work, with an emphasis on clinical practice from New York University School of Social Work. 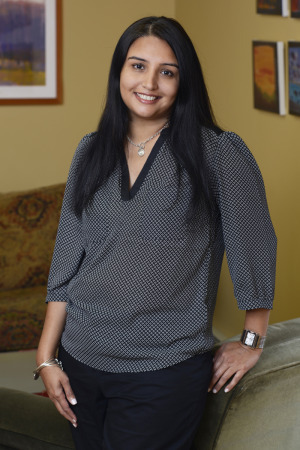 Ms. Patel has worked in variety of settings in mental health for the past 20 years. She started her career in school social work, working with elementary age children. She also worked at Family Connections, a non-profit mental health mental center in Essex County, as an Outpatient Clinician and Manager of the Outpatient Counseling Services Division. She has been in private practice for the past 14 years with Dorogusker Price & Associates. Ms. Patel primarily works with children ages 3 and up, using play therapy. She works conjointly with parents/family members/primary care-takers of children for parenting support and education. She also works with adolescents and adults using cognitive-behavioral treatment techniques.